Our practice is a staple of the Central Texas community, and we’re proud to maintain a small, hometown atmosphere while also modernizing our approach with state-of-the-art tools and techniques. Our commitment to technology can elevate every part of the patient experience, from diagnosing your dental problems to completing treatment in a way that exceeds expectations. Don’t hesitate to contact our practice today and schedule your first appointment! Intraoral cameras can provide helpful visual aid for Dr. Cofer and our patients alike! 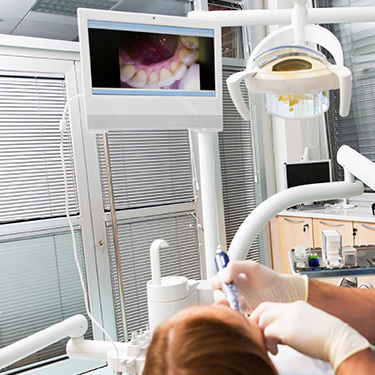 The process is simple – a camera-tipped wand will be inserted into your mouth so that it can start transmitting high-resolution images of your teeth and gums to a conveniently placed monitor in the room. This way, you can see what our team is seeing. With this guide, we can point out problem areas and explain treatment options much more clearly. 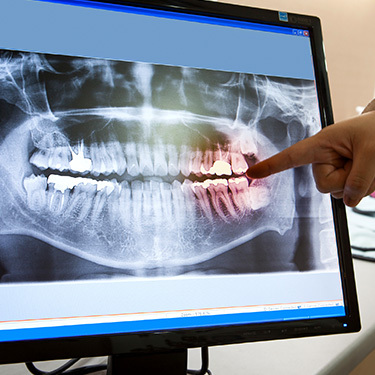 A lot of common dental problems can gradually develop and worsen out of sight, which is why X-rays are such an essential part of the diagnostic process. Here in Central Texas, we use digital radiography because of its valuable benefits when compared to traditional film. First of all, darkrooms and hazardous chemical development are no longer necessary – the images can be viewed in mere seconds. They’re stored in our computer system and can be modified with color-coding and magnification. Better yet, the amount of radiation that you and your family have to be exposed to during the process is greatly reduced by up to 80%. 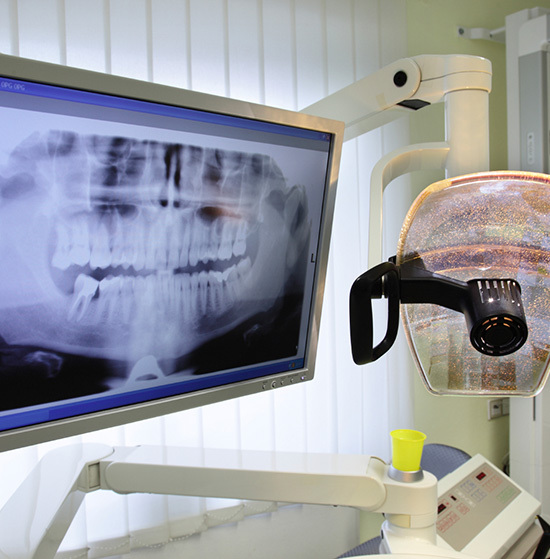 While digital X-rays are enormously valuable, they do have some limitations in certain cases. 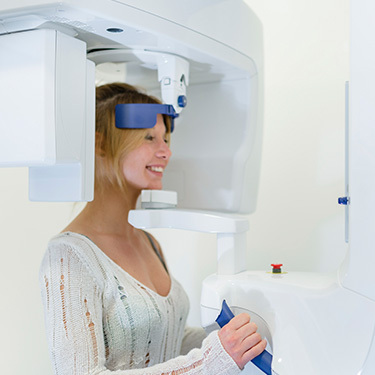 When our team needs a more comprehensive understanding of a patient’s oral health needs, we use a state-of-the-art Cone Beam (CT) Scanner. This technology creates a panoramic, three-dimensional X-ray of not just your teeth, but your jaw, your skull, your sinuses, and even facial nerves. With all of this information at our team’s disposal, we can better ensure the success of advanced treatments like surgical implant placement. 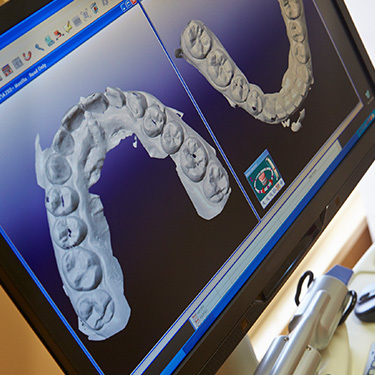 Instead of having to subject our patients to a mouthful of goopy impression material when they’re in need of a new restoration, Dr. Cofer can now create a digital, no-contact impression with the power of CEREC. This technique is more comfortable and more accurate, which means that the risk of future, time-consuming retakes is very minimal as well.